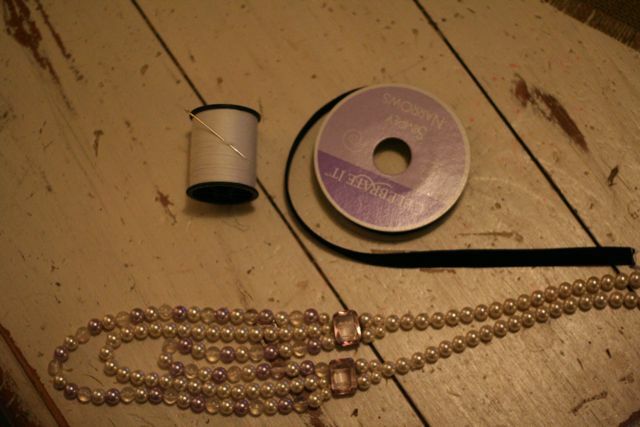 This is a super easy necklace and it turns out so pretty. 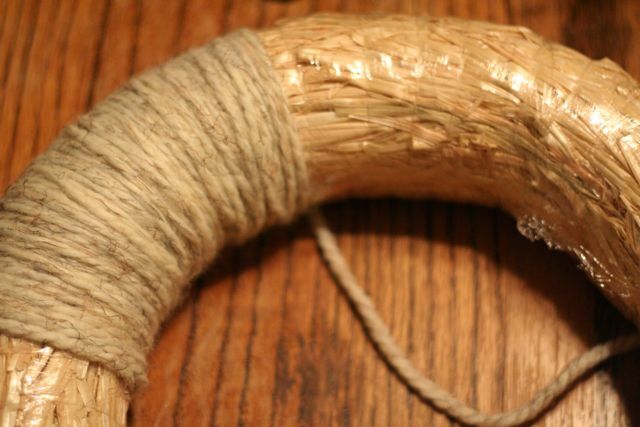 This is a great way to recycle an ugly old bead necklace. 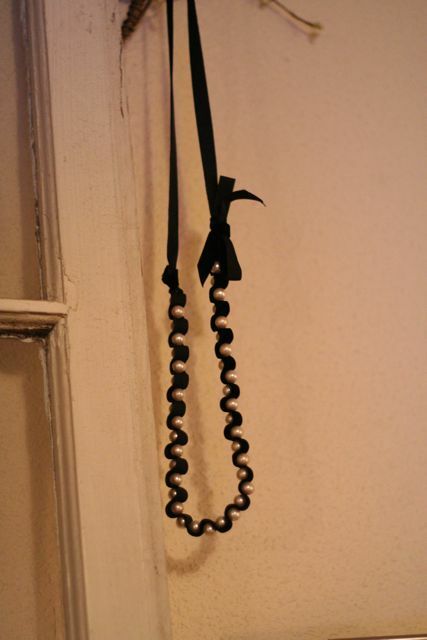 This necklace is meant to slip over your head. 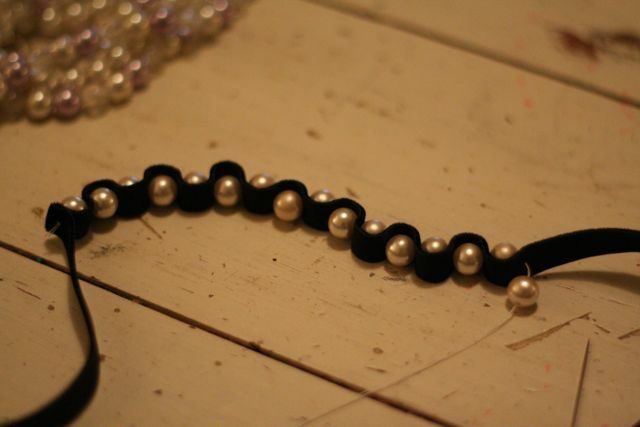 You can modify it by making this tie at the back of the neck so you can make it a smaller choker type necklace. 1. Cut the end of the necklace and pull the beads off. 2. 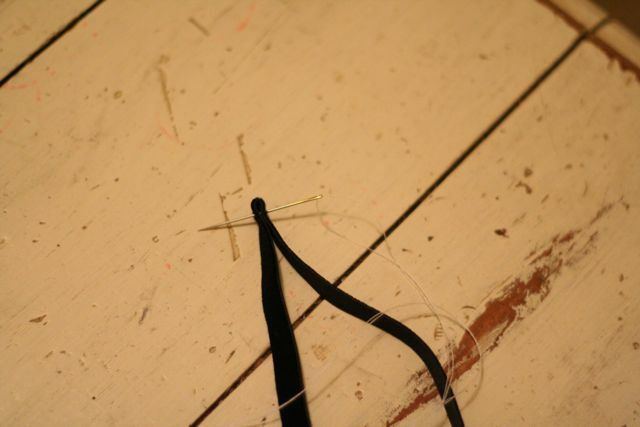 Thread your needle and knot the end, then pull through a folded over piece or ribbon. Leaving enough ribbon to tie a bow when you are done beading. 4. Once you are done threading the beads onto the ribbon, knot the end of the thread. Tie a knot at the end of each side so that the knot covers the tied end of thread. 5. Tie a bow on near the end of one side of beads and make sure and put some fray check on the ends of the bow where they were cut, so that they don’t fray. This entry was posted in Check this out!, Christmas, DIY, Gifts, Holiday, I made this! 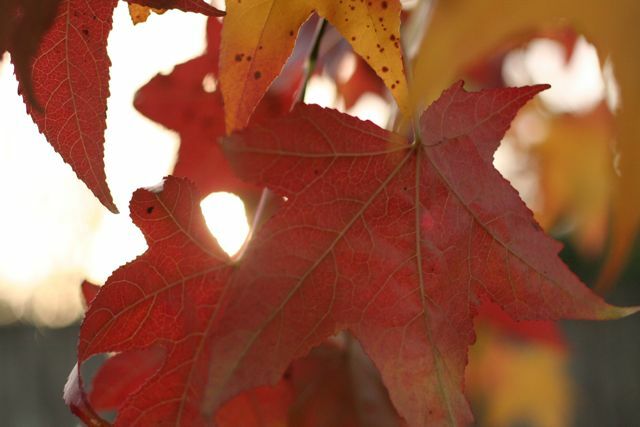 on November 3, 2010 by Deanna. 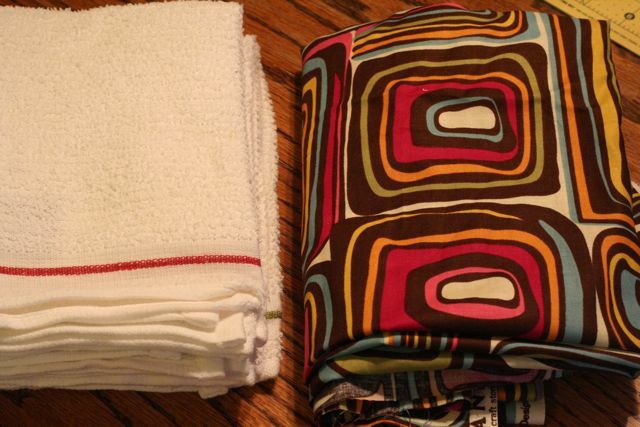 These easy to make dish clothes turn out so cute that you will want to make some for everyone you know. 1. Cut the dish clothes into 4 equal sections. 2. 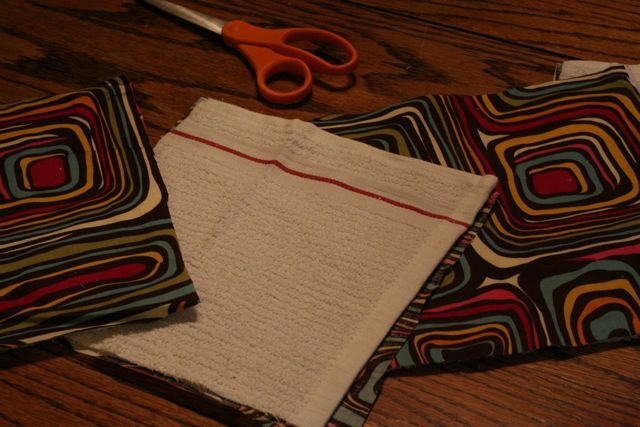 Cut the fabric to the same size. Putting wrong sides together(right sides facing out) serge around the edges. 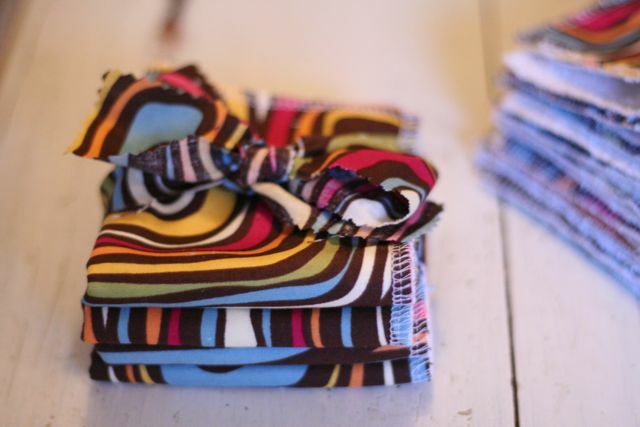 If you don’t have a serger you can use your sewing machine set to a zig-zag stitch. 3. 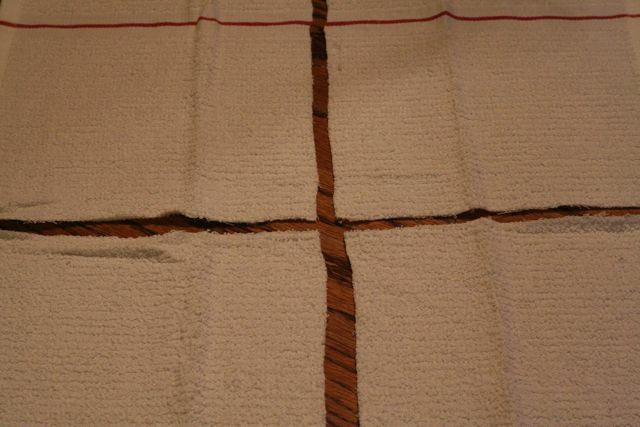 Use your fray check on the ending stitches to keep them from coming apart. Now wasn’t that super easy? And what great gifts for newly married couples, baby gifts and anyone who enjoys being in the kitchen! 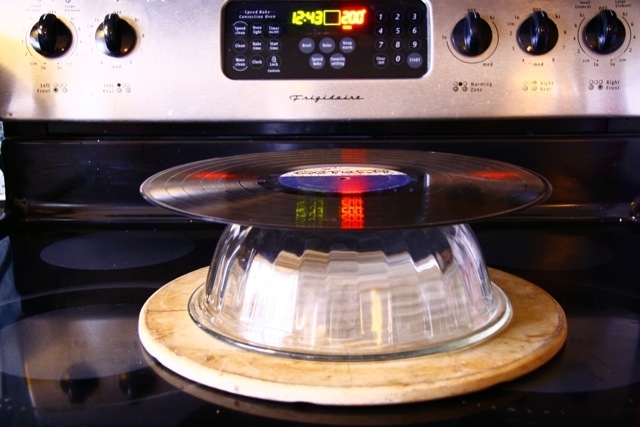 Just wrap up with a few kitchen gadgets and your good to go. This entry was posted in Christmas, DIY, Gifts, Holiday, tutorial on November 2, 2010 by Deanna. 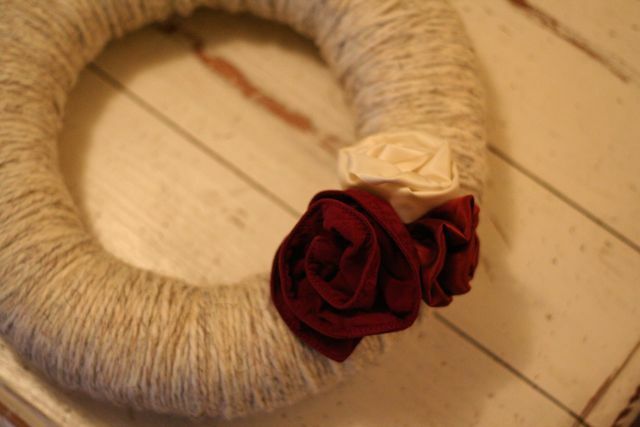 Everyone needs a beautiful wreath to hang on the door and what better than this yarn wreath with gathered flowers. 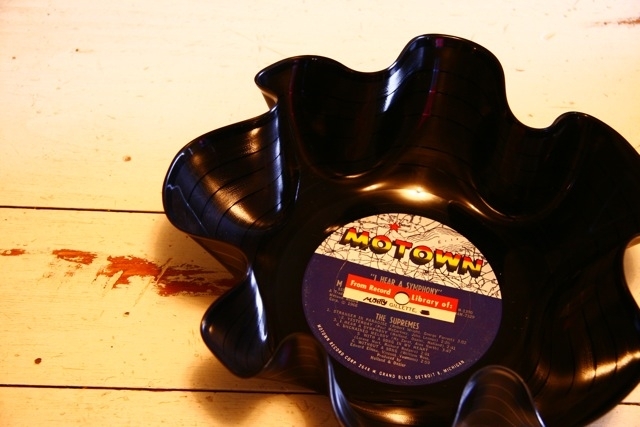 You could make one of these for yourself and make another for your friend. 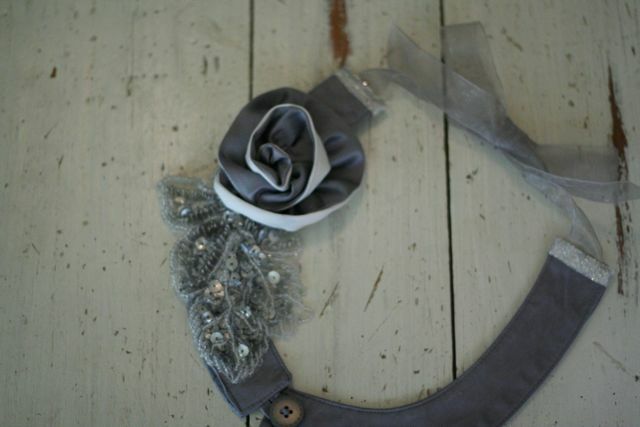 This wreath would make a great gift! 1. 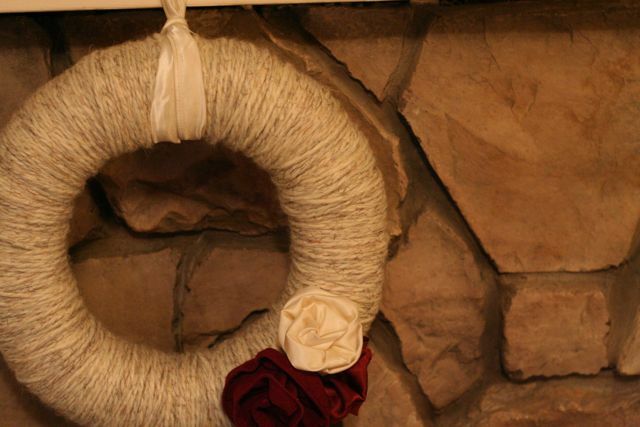 Take the glue gun and put a dab on the wreath and start wrapping the yarn around the wreath. 2. 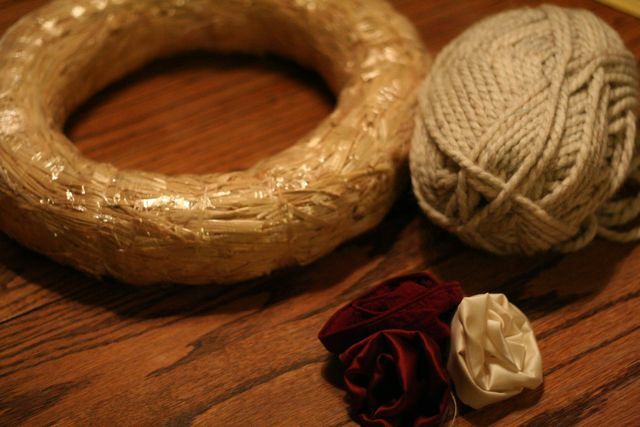 Continue wrapping the yarn around the wreath, making sure that none of the wreath shows. 3. Take your flowers and make a small arrangement in one section, using the glue gun to secure them. 4. 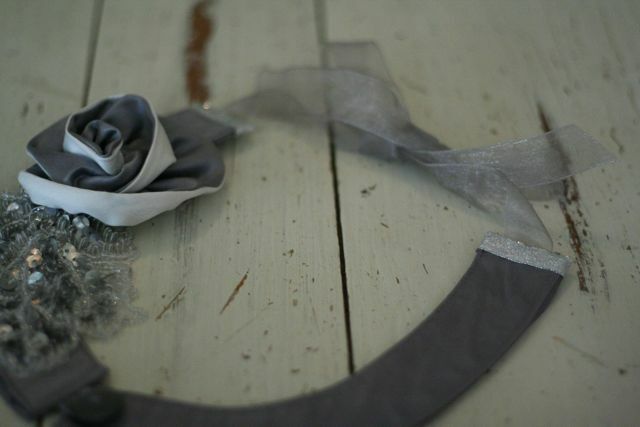 Connect a piece ribbon or lace to the top making a loop to hang. 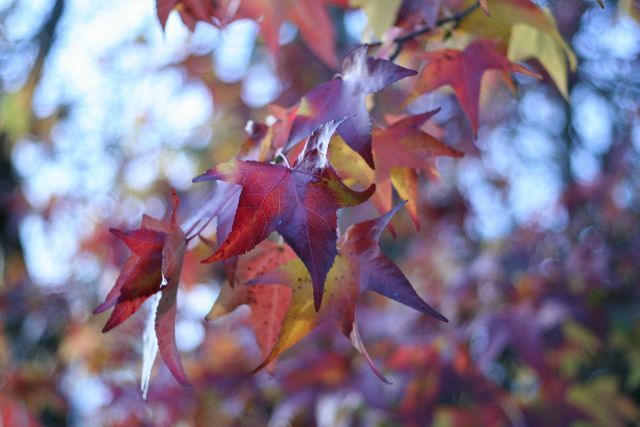 This entry was posted in Christmas, DIY, Holiday on November 1, 2010 by Deanna. 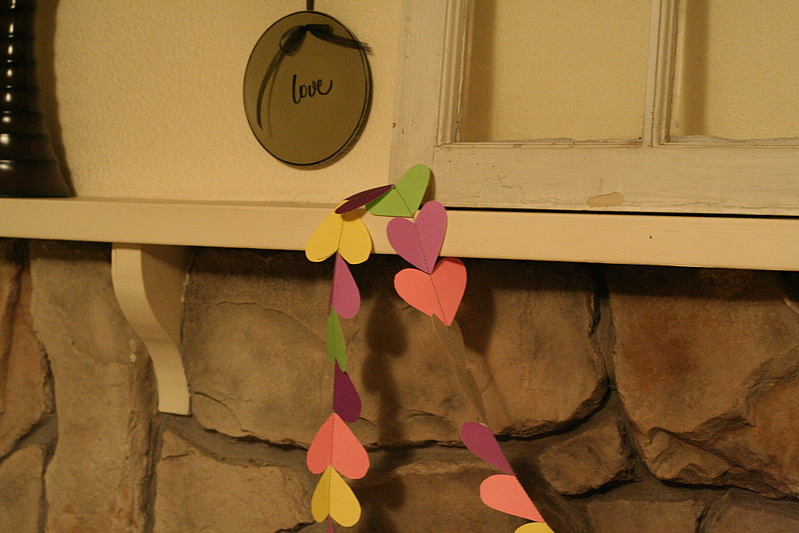 My daughter came up with this idea to hang hearts from a doorway or ceiling like those funky 60’s beads. 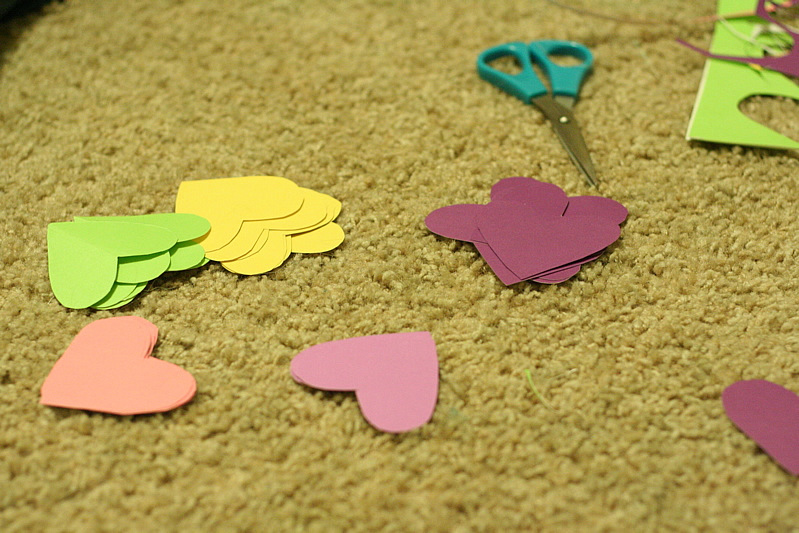 We started cutting hearts and arranging them so that none of the hearts of the same size were next to each other. Here is what we came up with. We still haven’t hung them from the doorway, they are currently draped over the ceiling fan that hangs over the kitchen table. 1. Cut as many hearts as you think necessary. in different sizes. 2. Arrange in varied order. 3. 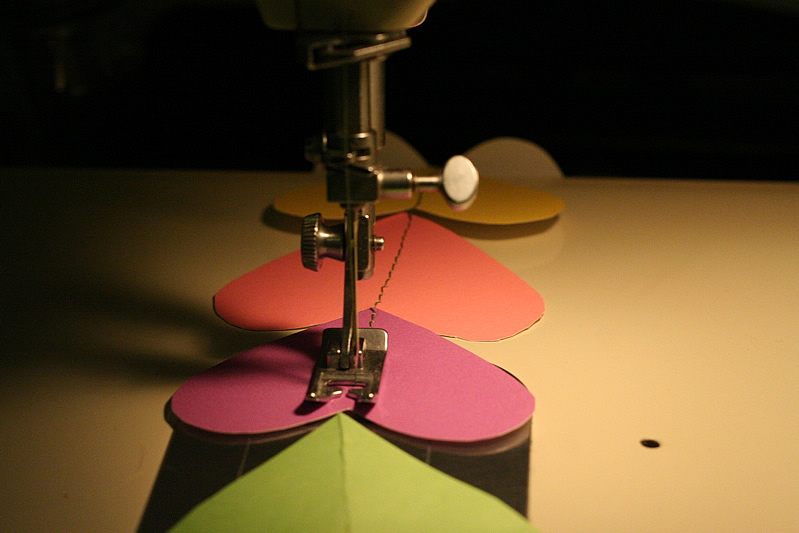 Start sewing together. 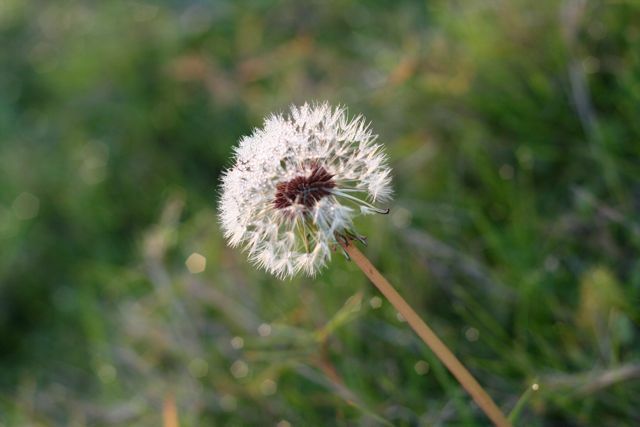 Make sure and leave space between each heart. 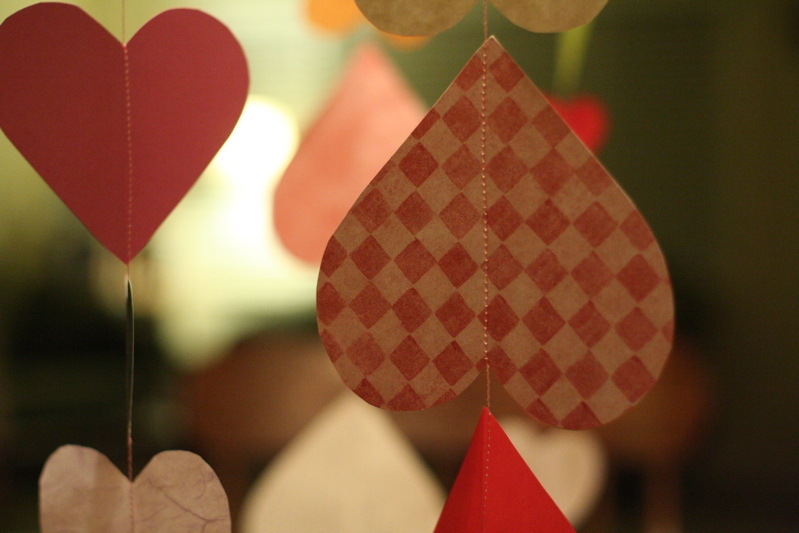 This entry was posted in Check this out!, DIY, Holiday, tutorial on January 29, 2010 by Deanna. I found this new website and I am excited to share it with you, Made by Rae, she has some really great crafts and really cute kids. 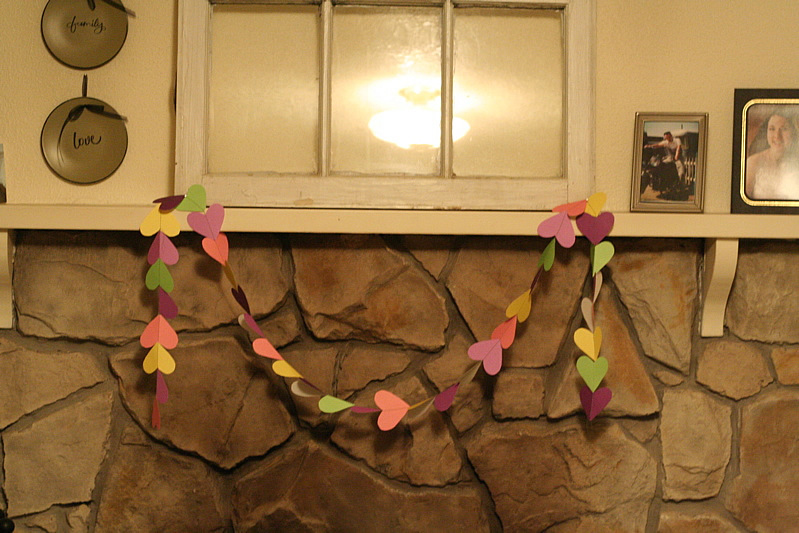 Anyhow last week she posted The Easiest Heart Garland. Evar. She used felt, but I was fresh out of felt so I, as always, used what I had, and made mine out of thick scrapbook paper. It worked and was so fun to make with my daughter. 1. 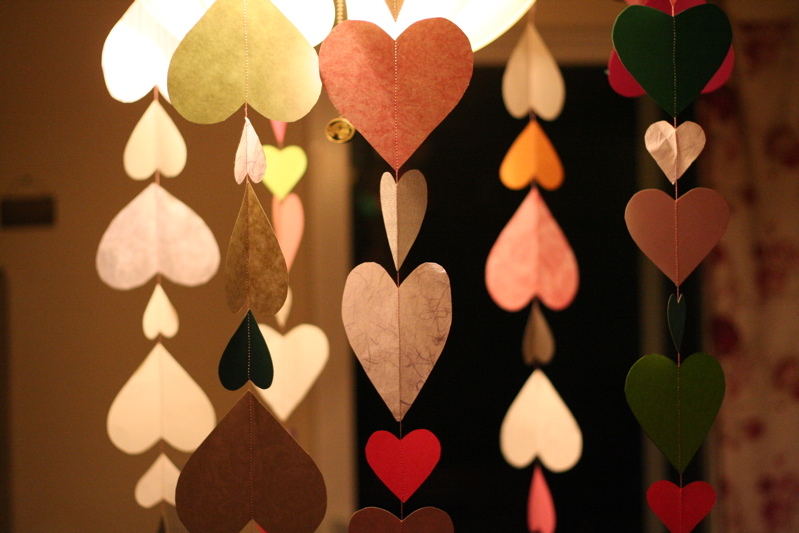 Cute out as many hearts as you desire. 2. 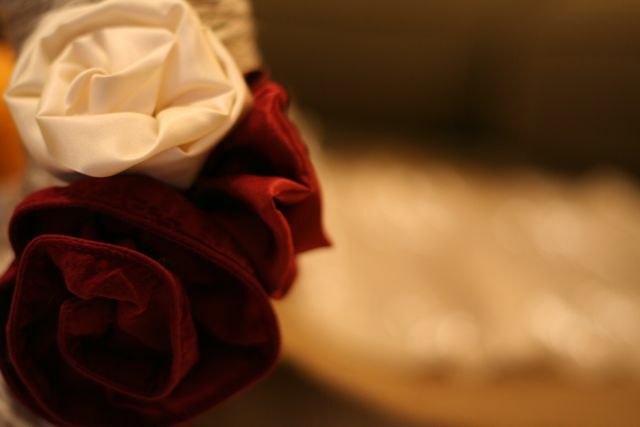 Sew them together in a pattern of colors or random, your choice. 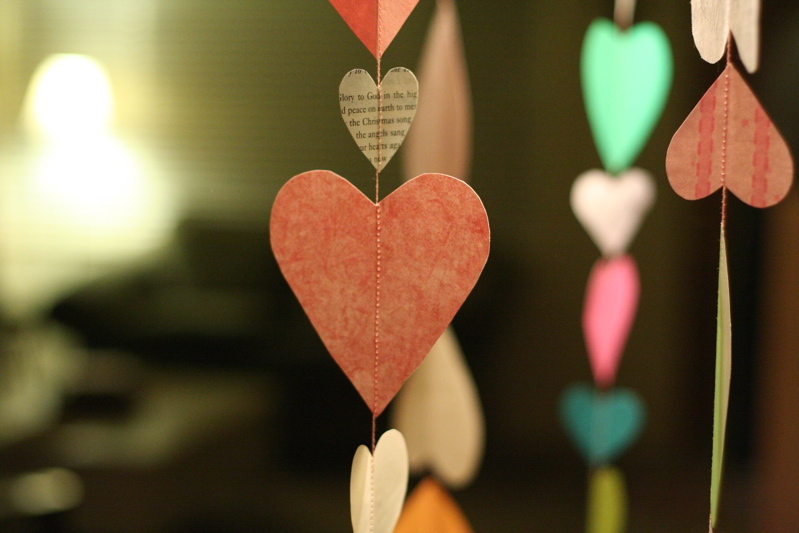 This entry was posted in DIY, Holiday, tutorial on January 25, 2010 by Deanna. 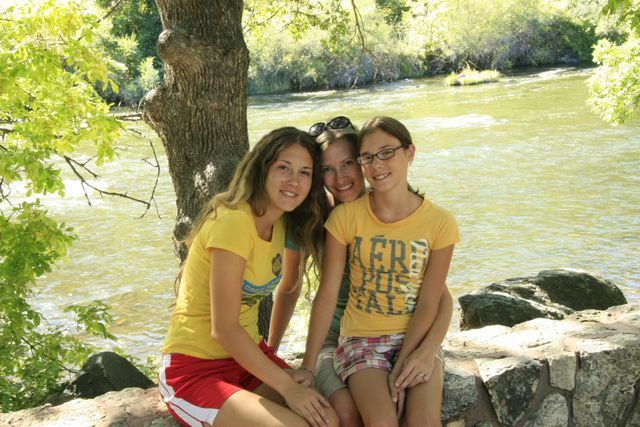 This entry was posted in Holiday on November 26, 2009 by Deanna. 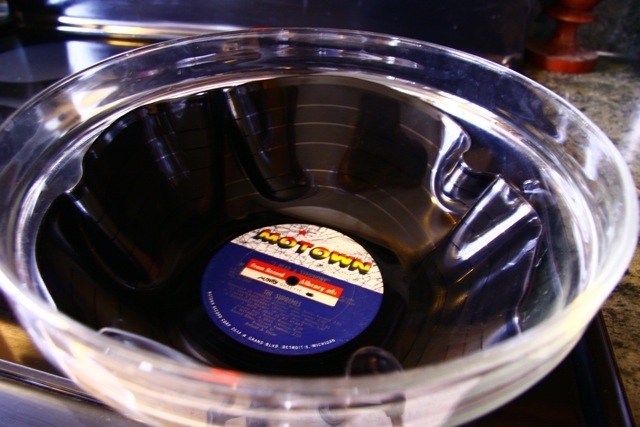 What better way to recycle those old vinyl records than to turn them into a bowl. 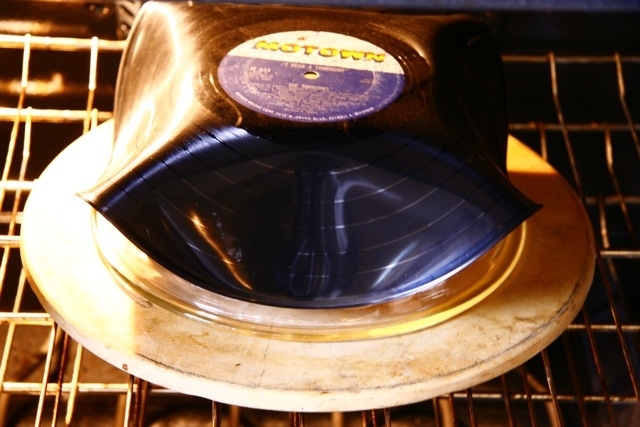 This is a super easy project and if you don’t happen to have vinyl records laying around, you can always pick one up at your local thrift store. These make great gifts for really anyone. 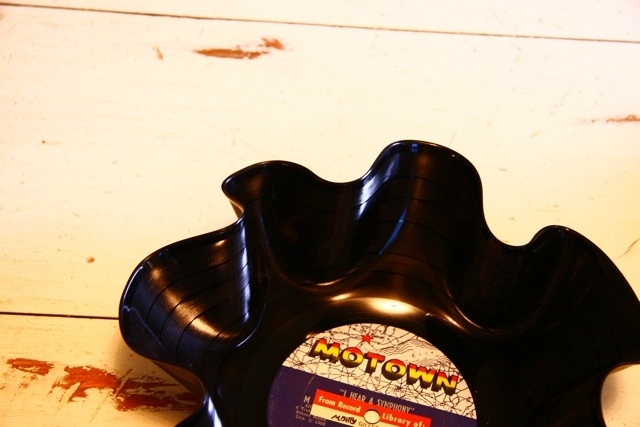 This entry was posted in DIY, Holiday, I made this!, Recycled on November 25, 2009 by Deanna. My daughter has become a fan of Audrey Hepburn, what little girl hasn’t, even I am a fan. So she asked if she could dress up like Holly Golightly from Breakfast at Tiffany’s for Halloween. I am looking forward to helping her with this. My little girl has this exact photo on her wall and we are working on finding all she needs to look like Audrey in this photo. I am excited to do this because most everything she will need she already has, except for the long black gloves. Oh and the fact that her hair is very short may be a problem trying to make it look like a bee hive, but we will give it our best go. Check back for a photo of my daughter as Holly Golightly. 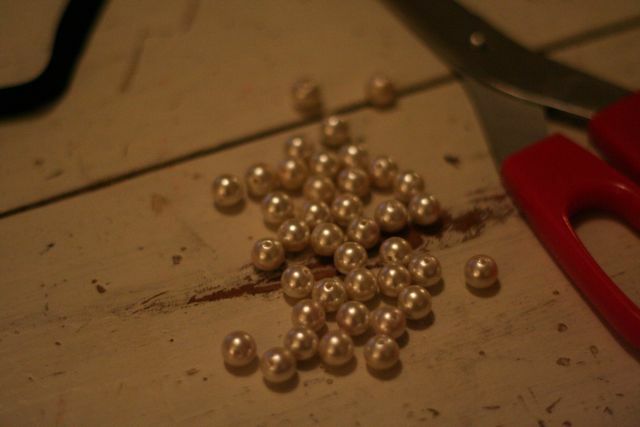 Pearls – I would suggest a few strands and add a faux diamond broach to the front of the pearls. 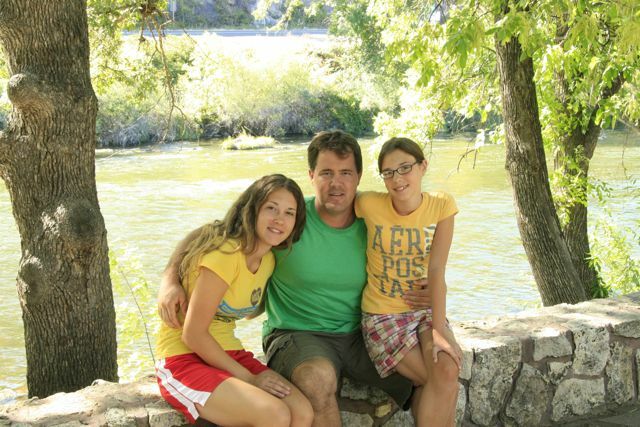 This entry was posted in DIY, Holiday on September 18, 2009 by Deanna.